Plant Matter Kitchen , London, Ontario. Information, Photos and Reviews. 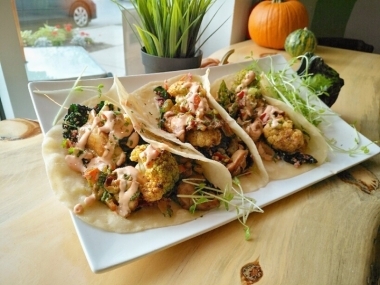 A plant-based restaurant and juice bar, Plant Matter Kitchen serves fresh, organic, and delicious meals that are ethically sourced and mindfully prepared. We partner with local businesses in London, Ontario to supply our kitchen with fresh fruits, vegetables, baking ingredients, spices, and more from farmers and entrepreneurs who are as close to home as possible. We are more than a restaurant; we are a vegan eatery serving nourishing meals for all eaters—vegans and non-vegans alike. Plant Matter Kitchen is a social hub where friends gather, business lunches are served, and weekend dining is accompanied by music from live, local talent. We host charity dinners once per month, serve London’s only vegan Sunday brunch, host parties of any size at our Wortley Village location, cater off-site events, participate in social justice campaigns near and dear to our hearts, and sell vegan-friendly merchandise. From Mac N’ Cheese and Shepherd’s Pie to pizzas, salads, and homemade soups—we have a dish to curb any craving! We combine global flavours with a local conscious by preparing themed dishes throughout the week, such as Pasta Mondays, Taco Tuesdays, and Curry Thursdays. 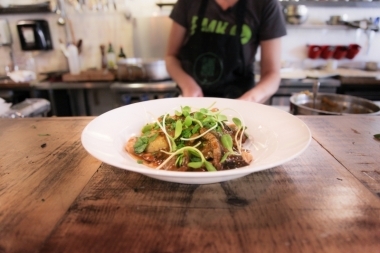 Join Plant Matter Kitchen in supporting the movement toward putting good food first. Come visit us today in Wortley Village, in the Heart of The Old South. More than a restaurant, #PlantMatterKitchen began as a juice bar, followed by a small order kitchen, and now serves monthly charity dinners, hosts events of all sizes, is involved in social justice campaigns, sells vegan-friendly merchandise, and so much more! #PlantMatterKitchen makes pizzas that are not only warm and hearty, but that are super healthy too! How about pesto, spinach, garlic, and tomatoes? Or oil, onions, mushrooms, and garlic? 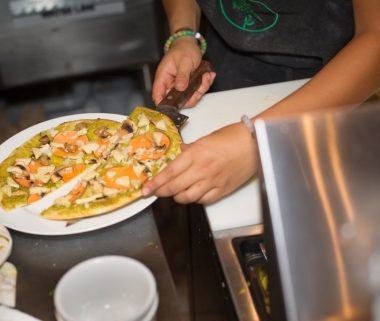 Get inspired by our ingredient list and custom create your own pizza masterpiece! Every Monday #PlantMatterKitchen creates a unique pasta dish. This one was one of our favourites: Butternut Squash Ravioli with a locally-harvested wild mushroom sauce. Stop in next Monday to see what creative cuisine has inspired our chefs this week! Tuesdays aren’t Tuesdays without tacos! #PlantMatterKitchen has you covered, this Tuesday and every Tuesday. Come in and try a unique and exclusive version of a classic favourite. See you Tuesday! #PlantMatterKitchen is London’s only plant-based restaurant to serve a full vegan Sunday brunch! 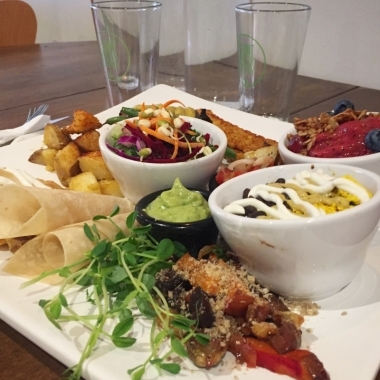 Check out our hearty, delicious, and nourishing Share Plate that includes great samples of our breakfast favourites, for two. 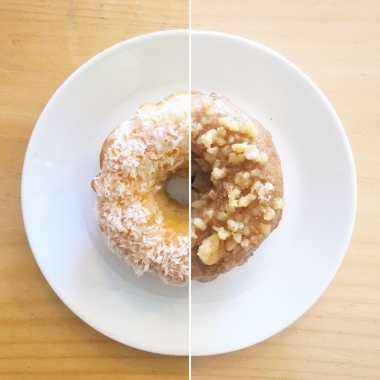 Check out the beautifully baked vegan doughnuts at #PlantMatterKitchen. Every Saturday and Sunday, we bake different flavours, including Piña Colada, Maple Walnut, Peach Perfection, Chocolate Cherry, Banana Chocolate, and more! 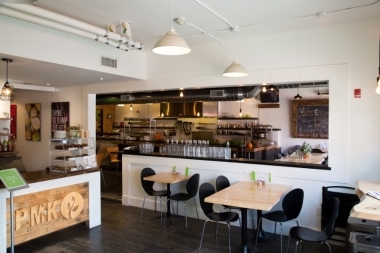 Plant Matter Kitchen is rated 5 out of 5, based on 1 reviews. You are submitting a booking enquiry. Plant Matter Kitchen will then contact you by email with details of availability and prices.